2. Principal’s Report—Principal Hagseth reported that Emily Gingell was principal on Monday due to winning the prize at the Turkey Trot. Testing will begin on March 7. Third Grade times changed for the Writing Assessment due to their singing program conflicting. There will be a Lock-In and Fire Drill soon. Signal to Noise deadline is March 16. This event is May 10. There is a red carpet and limo. It is a very fun event for the children that enter. Spirit Day is Feb. 17 and the theme is Inside-Out. Science Fair posters are due Feb. 24 and the winner will be announced on Feb. 27. The winner and a buddy will get lunch with the principal from Subway. The Dr. Seuss Read-In will take place on March 2. Many teachers are doing projects and there will be an assembly that day as well. Everything is the Lorax theme. Some moms are helping with some projects, too. Hagseth reiterated that she would love to get some applicants for the Community Engagement Committee. Some of the duties they are going to be taking over regard building use. 3. Bingo Night—Ruann and Heather reported that many donations have been given. Now they need help calling back companies that are already notified. The RSVP pre-order sales order forms are made and may go out this week. They also asked Cheryl where they could store the classroom auction baskets. They requested that the contents and value of the baskets be attached to each one. The $ at the end of the night will be going to Jen Yamashiro and Cyndie Pelto. They are in need of a Thank You note writing committee for after the event. Also, they will need help with set-up the night of. Please pre-order tickets! Please RSVP! Classroom Bingo will be taking place again this year at the end of the school the week of Bingo. Security for the event has been set. design is finished and was created by Mike Rider. 19 reviewers are set up for the evening so far. They need about 40. Projects will need to be brought in the evening of the 5th or the Morning of the 6th. 5. Treasurer’s Report—See budget. We will need to get bids or a community member to do the return if we do not want to pay the fee for the current CPA. 6. Website—Jason reported that he would need content describing the positions and committees of PTO. Also he would like feedback regarding the wants of the site. 8. Staff Apprecitation- Cyndie Pelto reported PTO is in need of a chair for this event and it is to take place May 7-11. 9. 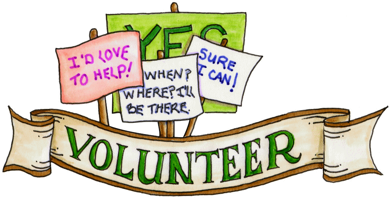 PTO Board—There is need for a Co-President and a Volunteer Coordinator for next year. 10. Kindergarten Round-up—This will take place March 8 from 4:00-5:15 pm. 11. Environmental Committee- A Bulletin Board will be going up in the hall to show our involvement as a green school. The Lorax will be a start. What can we do? Do we want the kids to do pledge cards? We are in need of a Green Club leader for one meeting a month.